Recently we read this article on how to enjoy a museum. Seems sensible advice. 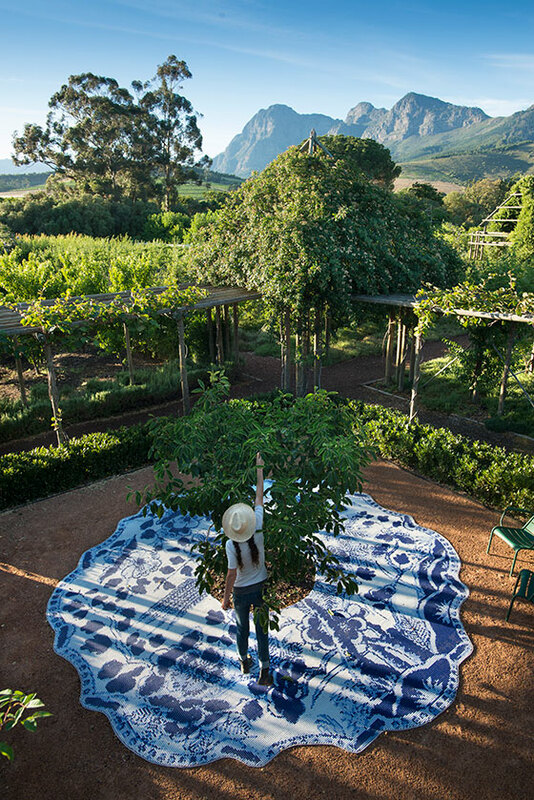 So a tip for making the most of your limited time at Babylonstoren: slow down! There’s too much to see to take in on the trot. What’s the point? When racing from one sight to another, you’re likely to miss too many treasures along the way. Rather take time to absorb a sight, a taste, a sound, a texture of what you are experiencing. Grab a map, do a quick walkabout to get an overall feel of the farm. Pick a spot that appeals to you. Let your instincts lead you, and forget about what others find interesting. Enjoy the moment, rather than trying to squeeze in as many activities as possible. Example: Currently some of the rose towers in our garden present a beautiful spot for a tranquil pause, especially in the stone fruit block where fragrant antique roses can be found. Pull up a Luxembourg chair, take a minute or ten to observe rose petal confetti making its way to the peach pip covered pathways. Another option is to disappear into the mulberry “room” and savour sweet black mulberries straight from the tree… An hour well-spent might leave you feeling content, peaceful and refreshed. If you like this notion of giving fewer sights your focused attention, read this New York Times article: “A Museum of Your Own.” And chill. This farm is one of the most peaceful places to visit and I enjoy any news from you! When I decide to visit I am very excited every time ! Having visited Babylonstoren in November 2013 with a garden group from Canada. I enjoy receiving your blog entries. I love the picture this week, which prompts a comment I have wanted to make for awhile. As the whole garden is laid out in such a beautiful design. I really wish there was a tasteful raised viewing deck so that all visitors could truly appreciate the overview. That said I realize such things cost money. However it would greatly enhance the visitors experience.